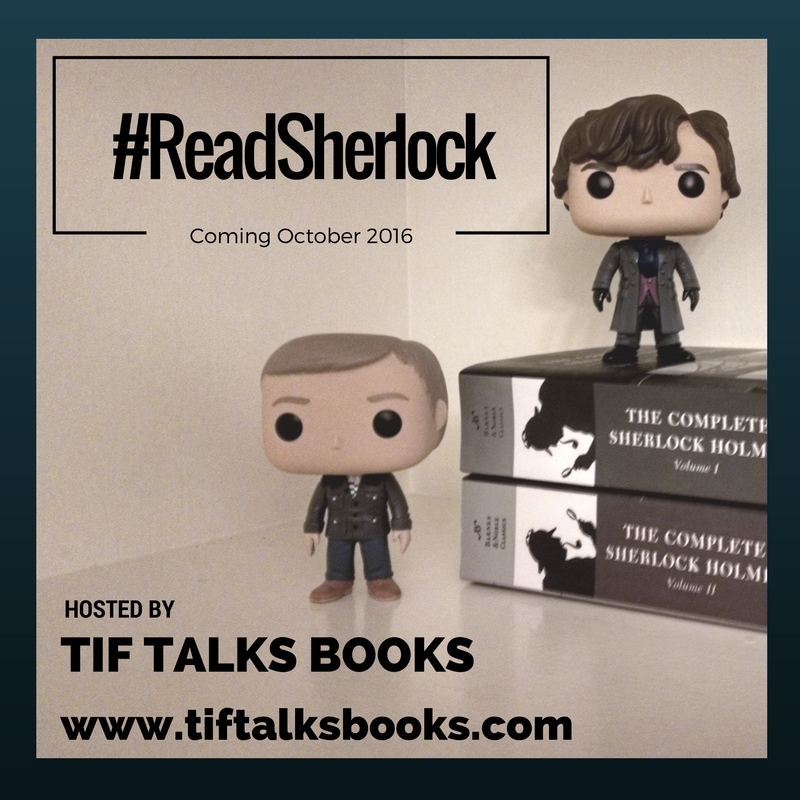 TIF TALKS BOOKS: Mark Your Calendars: Operation #ReadSherlock Coming Soon! Mark Your Calendars: Operation #ReadSherlock Coming Soon! Mark your calendars now for Operation #ReadSherlock! During the month of October, I will be hosting a month all about Sherlock, created by the one and only Sir Arthur Conan Doyle. There will be a number of different aspects to the event, so let's break it down. READ SHERLOCK. Read one story. Read a couple of them. Or, read the entire collection. It is completely up to you. WATCH SHERLOCK. There are so many adaptations of Doyle's stories out there, and some of them are absolutely brilliant. My personal favorite is BBC's Sherlock, but you do not need to limit yourself to just that one. WRITE SHERLOCK. I am looking for guests to write about all things Sherlock to be featured here on the site throughout the month. I will have only a limited number of spots available, so let me know ASAP if you are interested. 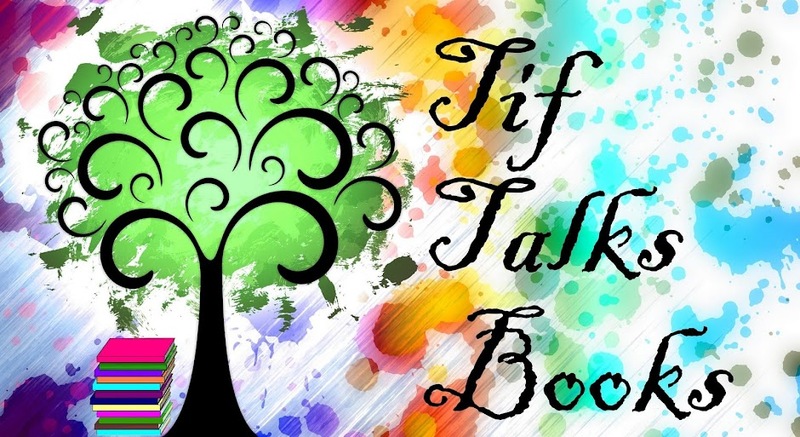 You can contact me via all things social media or email me at tiftalksbooks (at) gmail (dot) com. 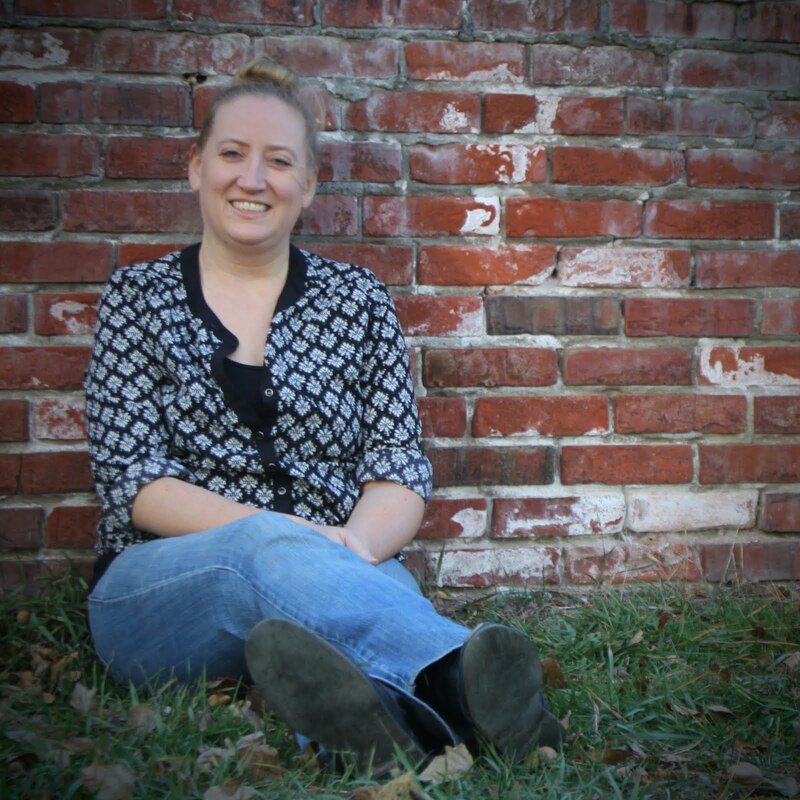 I will also have a weekly link-up for all those who want to write something on their own platforms to share. TALK SHERLOCK. While we are reading, watching, and writing about Sherlock, let's also be talking about Sherlock with each other throughout social media. 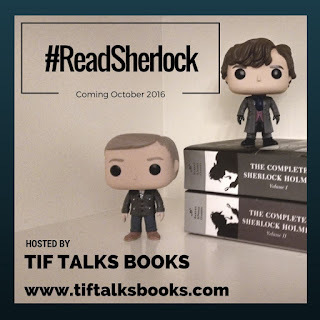 The blog will be the hub for the event, but I encourage you all to use the hashtag #ReadSherlock for your commentary, photos, rantings, ravings, and more for the real-time action. As we approach October, I will be sharing more information and details along the way. In the meantime, dig out those copies of Sherlock, reserve them at the library, and get excited to be Sherlocked! Will you be joining in? What most excites you about Operation #ReadSherlock? Sounds fun! Maybe you'll convince me to be a Sherlock fan. I've been meaning to read Sherlock Holmes for a while now, and I just started rewatching Sherlock! Ha! Kami ... Perfect timing then! We can read it all together!